Miller has a unique and fresh way of looking at traditional concepts in the Mormon Faith. They speak both to the heart and the mind, using the current culture and language as currency to communicate gospel ideas and ideals to his teenage daughter. Scholars, adults, and teens all find his approach accessible and powerful. Please come in the back door if you arrive late. Adam Miller’s second edition of Letters to a Young Mormon will be published by Deseret Book—a sizeable upgrade, greater legitimacy, and of course a much larger audience. Adam will share two of three new letters he has written, seeking feedback and critique. One is on science and one is on the environment. A third essay on women, was mutually decided between he and Deseret Book, not to be included. 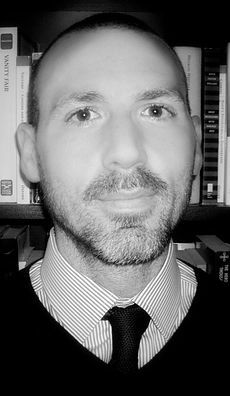 Adam S. Miller is Honors Institute Director and a professor of philosophy at Collin College in McKinney, Texas. He is the author of seven books, including Speculative Grace, The Gospel According to David Foster Wallace, Letters to a Young Mormon, and Grace Is Not God’s Backup Plan. He is the director of the Mormon Theology Seminar and co-edits, with Joseph Spencer, a series of books for the Maxwell Institute called “Groundwork: Studies in Theory and Scripture.” He and his wife, Gwen, have three children. New content for this site has been moved. Have Mormons Come to Believe in Divergent Gospels?